This judge should nominated to the Supreme Court. NBC News reported Tuesday that US officials say Israel "seems to be preparing for war with Iran." CNN shared this chart last week showing the dramatic disparity between black and white male firearm homicide death rates. It appears the whole "cultural appropriation" meme has finally peaked. Kanye West's message of self-empowerment is empowering white supremacists, so says TV's Dr Phil. A Soros-funded immigrant activist group has developed an app to help illegal aliens evade law enforcement by tipping each other off to law enforcement threats with "one click." As part of a bid to stay in power, Greece's ruling Syriza coalition is moving to grant some 800,000 immigrants citizenship, which amounts to nearly one tenth of the native Greek population. This is what happens when you don't have classical music blaring on loud speakers to protect your home! 7-Eleven franchises are blasting classical music on outdoor speakers to shoo away panhandlers and loiterers outside their stores. Facebook CEO Mark Zuckerberg told the establishment media at a conference on Tuesday that Facebook is going to "dial up" its "suppression" of news outlets he deems lacking in "trustworthiness." A British man was filmed last week telling a drunk Polish-born migrant from Russia not to drink on a train in direct violation of the law. On CNN Tuesday, Israeli Prime Minister Benjamin Netanyahu criticized Iran for allegedly working to develop nuclear bombs in secret, but refused to say whether Israel did the same (in violation of US non-proliferation law). Facebook accidentally went live with their new hate speech flagging system which asks users whether every post made on the website is "hate speech." 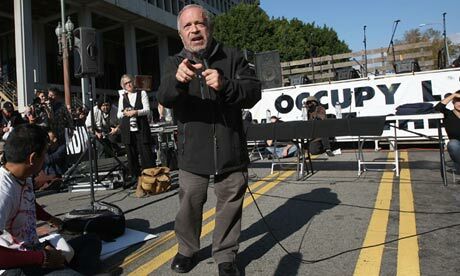 Former Occupy Wall Street supporter Robert Reich has called for Wall Street to occupy America to "save" our "political system" from President Trump. The ADL is getting hoisted on their own petard. Carjacking is apparently no longer a prosecutable offense in Chicago, at least that's what Cook County State's Attorney Kim Foxx seems to believe. Israeli Prime Minister Benjamin Netanyahu delivered a made-for-US-TV PowerPoint presentation in English on Monday where he appealed directly to President Donald Trump to cancel the Iran nuclear deal and claimed to have evidence showing Iran continued its nuclear weapons program in secret. Debbie Wasserman Schultz impersonator Michelle Wolf lampooned President Trump, also known as "small-hands McDrumpf," Saturday night during what many are calling the greatest White House Correspondents Dinner of all time! Wolf told jokes about her vag, abortions, p*ssies, Drumpf, Russia and Nazis! North Korean leader Kim Jong-un is willing to give up his nukes if he can be assured he won't get the Gaddafi treatment. Chicago, Baltimore, St Louis and Detroit are all breathing sighs of relief with the news that Microsoft, Google, Twitter and others are replacing their gun emojis with water pistols. President Trump is allowing the CIA and FBI to conceal what we can only assume is evidence of their involvement in JFK's assassination for another 3-1/2 years. The leaders of the two Koreas, Kim Jong Un and South Korean President Moon Jae-in held a historic meeting on Thursday and declared "there will be no more war on the Korean peninsula and a new age of peace has begun." ADL head Jonathan Greenblatt tried to blame Donald Trump's tweets for a supposed surge in "antisemitism" after his election. Crime rates are skyrocketing across the board in multicultural Britain. Former FBI Director James Comey said Wednesday on CNN the "deep state" doesn't exist. Kanye: "You Don't Have to Agree With Trump But The Mob Can't Make Me Not Love Him"
Kanye West donned a MAGA hat and came out as a Trump supporter on Wednesday and his wife Kim Kardashian attacked the media for trying to "demonize" him by labeling him as crazy. Criticizing journalists is now "hate speech," so says the leftist NGO Reporters Without Borders.